The ultimate fast power-catamaran, great build pedigree and ideal for entertaining a lot of guests, or comfortable long-term cruising/liveaboard for at least six. 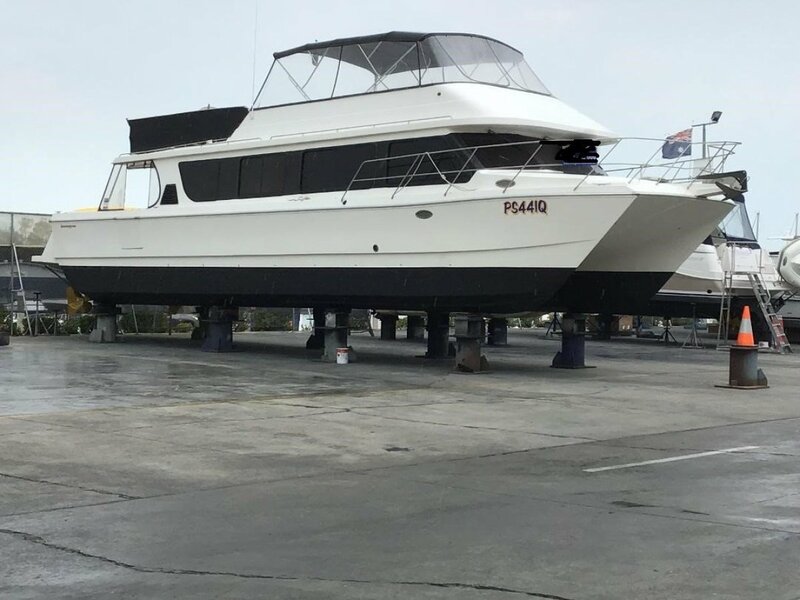 GRP construction, built with hydrofoil lifts and powered by twin electronic common rail Cummins QSC 540HP turbo diesels engines, capable of up to 30 knots loaded, Seafury surface drives and seagoing capabilities that lend this vessel to coastal cruising, offshore fishing, diving and whale watching. Hydrofoil lifts raise the tunnel clearance resulting in a smoother ride in rough conditions, increasing performance and fuel economy. Twin double cabins forward with ensuites, main saloon:galley to port, steering station and nav controls to stbd, head/shower to stbd, double cabin/stateroom aft. Flat screen TV with satellite remote dish. Extended swim/boarding platform and entertaining area, dinghy davit winch, gas barbeque on upper deck. Major refit in 2018, professionally maintained and ready to go. Phone Rod Mackay on 0419633345 to arrange an inspection by appointment.